Do you find your financial numbers confusing? Are you afraid to or not sure what you should be looking for? 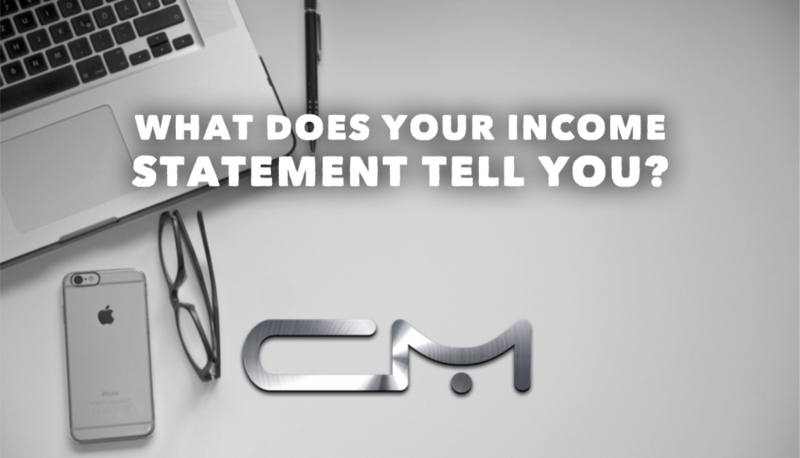 Your income or profit and loss statement and your balance sheet are key roadmaps into how well you’re business is doing, what is and isn’t working, and even how you’re likely going to do going forward. I don’t know about you but even having went to school for business I still found deciphering my business financial statements to be confusing, in fact for the longest time I never looked at them. And for most of that time I still continued to struggle. I’m guessing if that was true for me it might be true for many of you. So today I just wanted to get you aware of and thinking about some key areas of you Profit & Loss/Income statement. First, if you’ve never even seen one of these that’s the first problem we should deal with. If you have a shoebox full of receipts and statements you deliver to your account 1-2 times a year, you’re really shooting yourself in the foot. Essentially this means they’re going through your bank statement and identifying, recording and classifying every transaction; so you’re left with information that follows your actual bank account. I say follows because what you see in your account will NOT correlate to your statements on any given day, cashflow and what has already processed are very different things. But let’s focus on some key information in your profit & loss/income statement that can help you right away today. The big numbers at the top, the good stuff AKA revenue. In addition to the obvious of how many dollars/month your business is currently generating you may wish to look at this in a couple of different ways. Do you have multiple services or products? If so you might want to look at each in terms of what percentage of revenue does it account for? Let me give you an example, if 80% of your revenue comes from your group program, and only 20% comes from your one-on-one training program, which one would you most likely want to spend most of your marketing dollars on? Another way you may want to consider your revenue is to divide it by the total square feet of your business effectively giving you revenue per square foot. This can be useful in understanding the pricing of your service, or as you get fuller what opportunities may exist and even how it evolves and changes through quarter after quarter based on heavy promotion etc. These few numbers alone can be very helpful in understanding how healthy your business is or how it’s performing, but let me give you a couple more specific things I always teach my entrepreneurs that I think can have a really big impact in your decision making. The first is: percentage of revenue attributed to payroll. Within your expense categories you should find entries for payroll/wages, possibly subcontract expenses, and if your provide benefits for your employees at shared cost don’t forget to add that in as well as what you pay yourself. The later can be a bit confusing as for tax purposes you may pay yourself primarily via dividend which will not show on your income statement, this is recorded on your balance sheet. For our review purposes it’s still important to add it in because we need to think of our company as a living breathing entity that must support itself, and of course you need to know that the resources you’re using to support yourself can continue. Once you have a total of expenses related to paying others (and yourself) divide this total amount by total revenue, this gives you percentage of revenue attributed to payroll. Is it over 40%? If so I’ve got good news and bad news. The good news is, if you’re presently struggling, you’ve found one of your biggest problems, the bad news is I can tell you from seeing hundreds of fitness businesses that this isn’t going to be sustainable long term with much hope for real profitability. We’ve got to get revenue up, or payroll down if this is where you’re at. 35-40% This is a common area to find yourself if your business is new or within a heavy period of growth and expansion. 25-35% This is the sweet spot operating zone, at 25% congratulations, you are part of the 1% of very efficient fitness businesses, at 30% you are doing great and should work to maintain this long term, at 30-35% you’re doing great, you’re healthy and can continue to strive to find new opportunity! This metric can be really beneficial when it comes to hiring, and deciding what you might be able to afford a specific employee(s) or even how you need to set certain goals for new positions in an effort to ensure payroll that may initially increase, over time, ends back up in target ranges. Ex. Let’s say your payroll is at 30% and is a total of $10,000. This tells us total revenue is a little over $30,000. For easy numbers we could speculate that if payroll was at $11,500 we’d now be at about 35% of total revenue; still within our ideal operating parameters. So this gives you budget of about $1500/month to expand your team. Can you spend more? Sure but now you can be aware that long term that may create additional stress if that hire doesn’t quickly impact your total revenue in a positive way. I’ll leave you with one more. If you divide the total for marketing and advertising against total revenue now we get a percentage of revenue spent on marketing. I can tell you that my recommendation to all of my clients is to work to grow comfortable with spending at least 8% of total revenue on marketing and most of my most successful clients spend much more. If you divide your total marketing spend by your total number of new leads for that month we have a basic idea of cost/lead. You can do the same thing with total new sales for the month, total marketing divided by new sales gives you cost/customer. Now in theory we can calculate what we need to spend to reach certain growth targets, we can also measure the effectiveness of present and future campaigns by comparing current cost per lead and cost per customer to the previous quarter, promotion, month or benchmark. Do you see how all of this can really help you make much clearer and better decisions regarding what to do next to achieve your next goal or milestone in your business? If you’re going to win this game you cannot avoid or be afraid of your financials. P.S. If you’ve watched my 4 Pillars of a Successful Fitness Business video then what you’ve just learned is most of the KPIs (Key Performance Indicators) for Pillar #4. I’d sure love to help you with your business and can teach you the basic KPIs we use in the other areas to help your whole team become better aligned behind your goal and on the path to bigger growth!